Pinterest, just like any other network, requires care, commitment, and attention to detail when it comes to implementing your strategy and measuring your results. 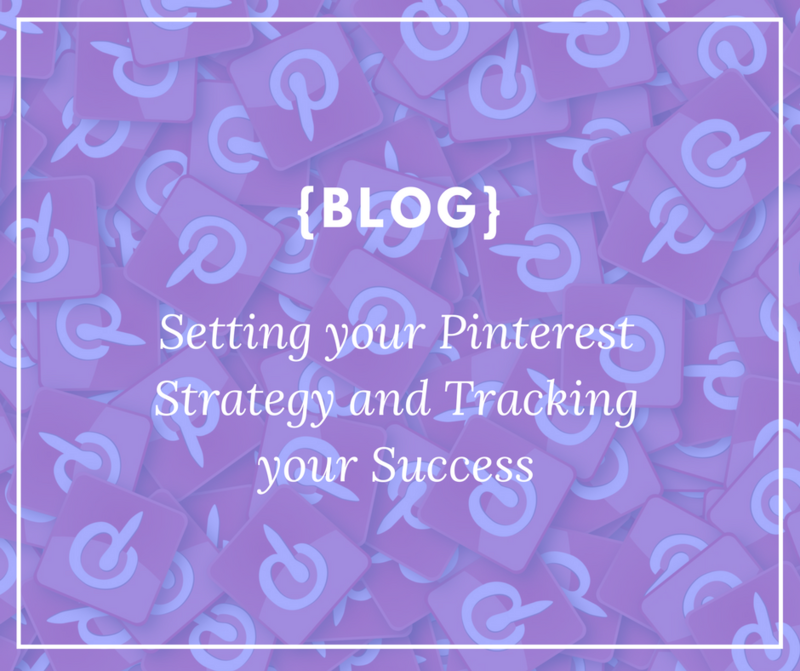 In today’s blog and this week’s Growth Prompt, we are building your Pinterest Strategy and Setting Goals for measuring your success. Earlier in the month we’ve explored the in’s and out’s of what Pinterest is, as well as, how to create images, manage your boards, etc, but today we are taking that deeper dive into the strategies to use to optimize Pinterest for your business. In addition to the information provided in this blog post, be sure to download this week’s growth prompt HERE. This PDF includes space for you to create your Pinterest Strategy and to Establish your Goals on Pinterest. On Pinterest in particular, it is of utmost importance to be consistent with your pinning. Why? Pinterest will show your followers a collection of recent and popular pins when they sign onto Pinterest. Imagine that none of your pins appear for days and then all of a sudden 10 branded images pop up at once. First, the person isn’t going to know who you are and second, they are going to feel like you are spamming their Pinterest feed. Rather than only signing on one time per month, instead we recommend trying to have a consistent flow of pins to your boards that consist of both your pins and those of other people. When you can pin (ie, can you only commit to pinning on your computer at 10pm while watching Netflix or can you carve out time during the day)? If you would benefit from a 3rd party application to pin and repin on your behalf? Yes! These apps do exist and there are 2 in particular I recommend utilizing. The first, Tailwind*, has a robust pin-scheduling tool for your own pins and allows your to set schedules to pull from other pins, as well. Tailwind also includes Tribes, which are groups of people who have agreed to share each others pins on a specific topic. 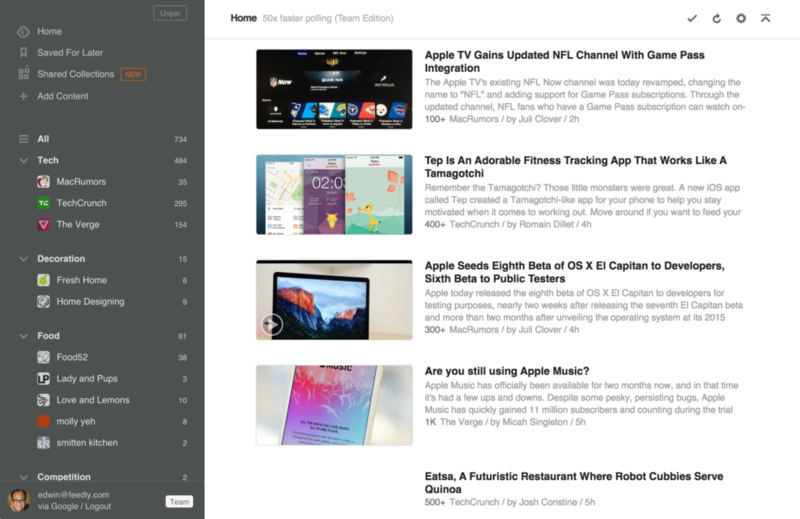 Personally, I utilize Boardbooster* for my Pinterest management. With Boardbooster, you create Secret Boards and pin images to these boards rather than your public boards. In boardbooster, you then create a schedule for how many pins you would like to move from the secret board to your public board and what time of day you want these pins to be published. Boardbooster also has a looping function to repin old pins from your boards at a set schedule. One downside of Boardbooster is that you can’t really visualize the order of publishing your pins, so let’s say you make 3 images for a blog post, when you pin them to your secret board, you also need to pin other images. I love boardbooster, however, because I can spend one movie just pinning other images to my secret boards and not worry about Pinterest for a month. Step 2: Create Multiple Pins for your Blogs. Rather than just creating one pinnable image for your blog post, change the design and wording slightly so you have 3-4 images for each blog post. 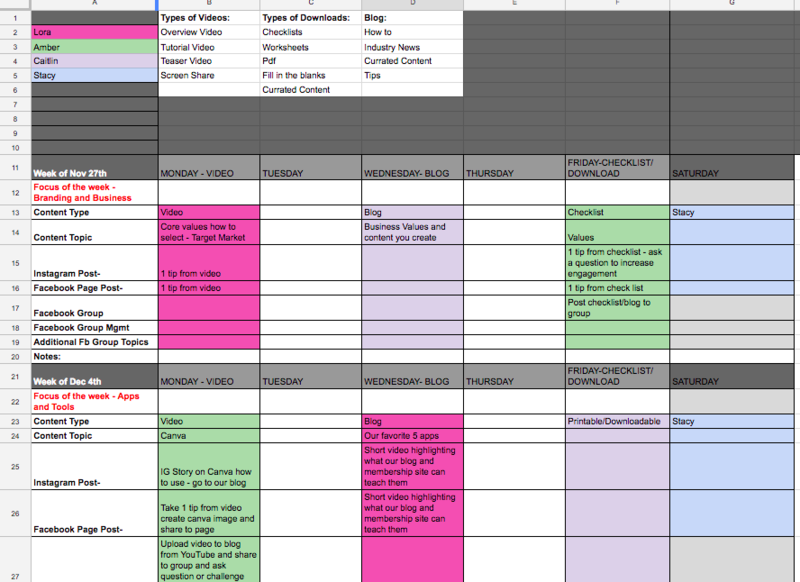 This especially works well if your blogs are 1000+ words long as you can create a pin for each topic you cover. To manage this, I recommend creating a few layouts and templates in Canva that you can just swap out words and images. Then, as mentioned before, rather than pinning all the images at once, add them to your secret boards (if you use Boardbooster) with other images between and try to space out their publishing dates (or at least times). You’ll also want to make sure the images are rotated into a board specifically for your brand and website. I recommend calling this board “From the XYZ Blog” or “Company Name Pins” – just something that makes it very clear that these pins are only from your website. Put this board at the top of your Pinterest boards as a featured board and you are good to go! Create images and name them with your blog topic then upload the images all at once to the end of your blog post. Drag and drop or copy and paste images to where they fit in the content (for example, if you have one topic at the start of the blog and it flows into another topic, you may want to include one pin that includes language from each of these sections rather than using the same language on every pin. With the remaining images that are at the end of the blog, you will now want to HIDE them! Click save and you are all set! Step 3: Incorporate Pins from other Websites. The last core piece of your Pinterest strategy is to include the Pins of other accounts and to pin images directly from other websites. When you pin from other accounts, be sure you are looking to find popular RICH pins that include keywords in their descriptions and are frequently repinned. Typically, when you search for a topic, these pins will appear first in the search results. Why do you want to only repin rich pins? These are often shared more frequently and if your account is posting pins that are shared frequently, you will tend to show up more frequently in Pin search results. You also want to pin images directly from different websites because then you have the added benefit of having your profile link appear alongside the pin rather than only appearing when someone clicks to expand the pin! 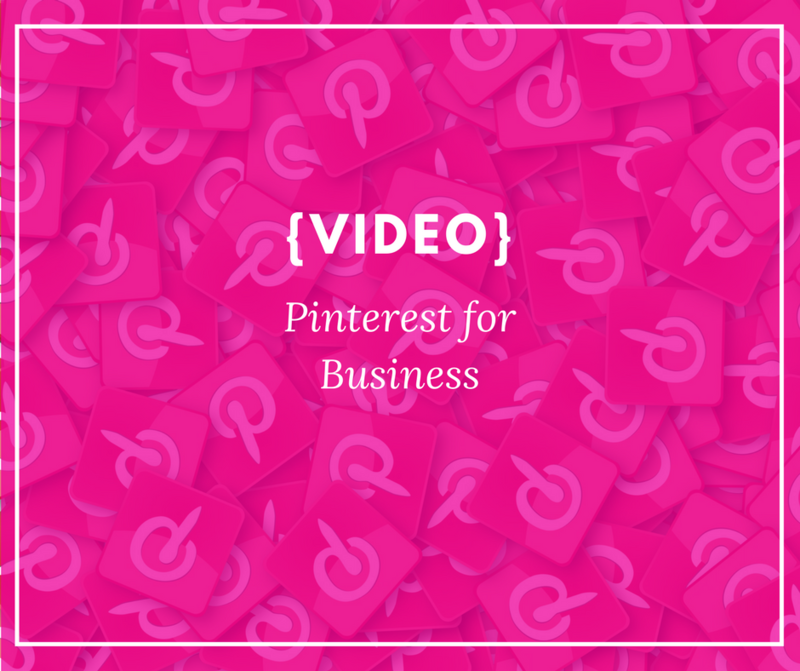 There typically are two main goals businesses set for Pinterest. The first is much easier to accomplish than the second, but both simply require that you are consistently active on Pinterest. Goal 1: Gaining Name Recognition and Exposure. Gaining name recognition and exposure is a great goal for Pinterest and is actually fairly easy to accomplish! With my Pinterest account, I was able to grow from 100 followers to 60,000 pin views in a matter of 3 months. How? I wrote blogs and used Boardbooster to consistently pin new images, my images, and repin for me while I worked on other aspects of the business. You can do this too, if you follow the strategy steps outlined above. Goal 2: Growing Traffic to Website. Though to reach the first goal of gaining exposure doesn’t necessarily require you to blog, growing the traffic to your site ABSOLUTELY requires that you blog for your business! 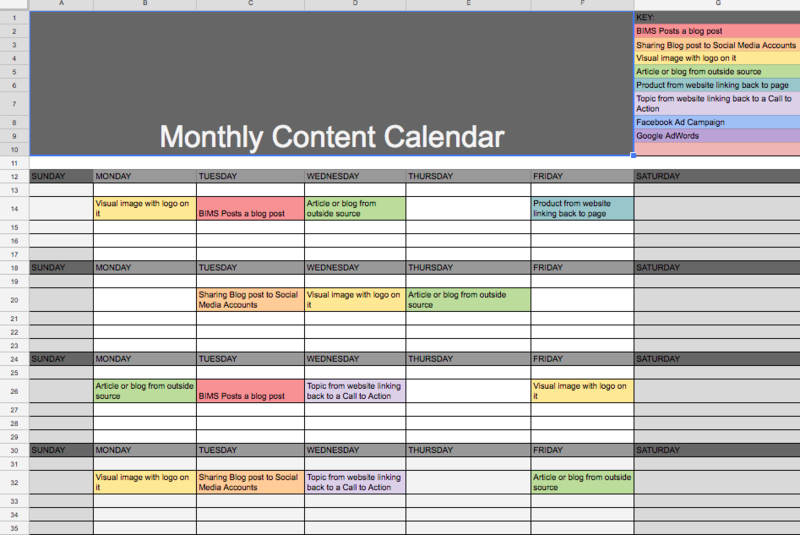 This makes attaining this goal a little more difficult as you need to build time in your schedule to blog and create pinnable images. 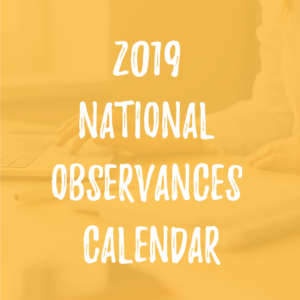 Once you create your schedule for writing blogs and the images, then, as long as you are using keywords in your descriptions, sharing the pin to group boards, and testing out different pin designs, you can be fairly certain people will click through to your site. So, as I wrap up, there is also the important notion to remember about what to do once people get to your site! I always recommend including Content Upgrades in your content as a way to capture the names and email addresses of those who click through the site. This means in addition to creating the blog post and images, also creating a download and a form to add even more information to your post. Once someone signs up to download the form, you ‘own’ their email address and can send them weekly tips and news to continue helping them on their educational journey in your industry! We’ll be doing an entire section on the ins and outs of Content Upgrades (Freebies) and Welcome Series, so stay tuned! Infographics are a HUGE part of Pinterest and those who love Pinterest absolutely adore infographics. Infographics are an easy way to consume and learn new information. A good infographic can take you step by step through a message with lots of visual content and a minimal amount of text. In this video tutorial, you will learn how to quickly and easily design infographics by using Canva. One of the best visual tools to use on Pinterest is Infographics, over the past few years, infographics have become a big deal. They are a great way to visually explain data to people. These images can really be used for just about any industry and I think that’s why they work so well. People can get too caught up in making an infographic, what data do you use, where do you find that data, how do you create the image, what colors do you use etc. The list goes on and on. Does it relate to your business? What topics in your industry do people find interesting? Is this topic something you are passionate about? What data do you want people to receive? Can you tell a story within the graphic? Will your image be shareable? Wonderful, now you know how to create your infographic, what it needs to look like, the things you should have and shouldn’t have, but now the BIG question is where do you get all the data?? I know as an entrepreneur I am always looking at infographics on Pinterest for our company and for our clients, I say WOW that is awesome, I want to create something like that. BUT where did they get the data, how do they know the key points they want to talk about?? We have put together a FREE download here for you with 6 key techniques to collect data to make the perfect infographic. As you can see there is a lot that goes into making just ONE image, right? This is a process. It’s really about finding that perfect topic that you really want to share with the world and being able to explain it in such a way where everyone gets it! You have to do your research with each infographic, make the process fun. As you think of these ideas for your infographics, keep a journal or word doc to start collecting your data. When you follow these steps to create the best infographics and implement our techniques to your data and design process you will be able to deliver an infographic that will resonate with your audience. An image that they will want to share and will build your brand. To make sure your brand’s content hits the ground running, there are some basics you need to have in place, especially when it comes to graphics. Pinterest is a highly visual platform. Understanding the best graphics to use on the site is key to making your account perform its best. We want to make sure you and your brand look your best on Pinterest, so, we put together this helpful 2018 Pinterest Image Size guide. Download it, print it out, and keep it handy so you can have these image sizes available at-a-glance! Download the guide HERE. Part of being successful on Pinterest requires your ability to be found! That’s where hashtags (#) come into play. Once you have an understanding of how to utilize hashtags, you will notice an increase in your Pinterest traffic. Know the number of hashtags you can use one 1 pin. A recommended rule of thumb is to use no more than 20 hashtags per pin. Always use hashtags on the pins you post. When people search hashtags in the search bar, Pinterest will compile the latest pins chronologically, placing the newest pins at the top of the list. That’s where you want your pins to live. Avoid using very broad hashtags, be more specific and try to think like your audience. What hashtags would they use to find your pin? Don’t be afraid to use hashtag phrases if they help to define your audience even better. For example, we may use a hashtag phrase like #SocialMediaTraining as a hashtag to reach our audience. Do some research! When adding a hashtag to a pin on Pinterest, Pinterest will populate a list of suggested hashtags. Next the hashtag, you will see how many pins are using the hashtag you are considering. If the number is HUGE, your pin may get lost in the shuffle. Try to determine how you can make your pin more niche with a more specific hashtag or hashtag phrase. 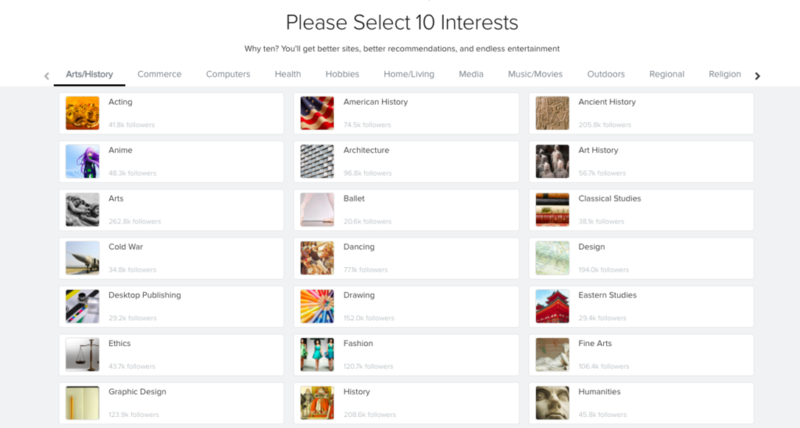 When working with Pinterest, our best advice is for you to get started, have fun, and experiment with different ideas, strategies, and tactics. Happy pinning! Pinterest is growing so much and is really used for a search engine rather than a social media platform. People go to Pinterest to find ideas, products, inspiration and much more! So, why shouldn’t they be able to find your business as well? In this video below you will learn how to create a business account on Pinterest OR switch your personal profile to a business account. Setting your social media goals can be difficult. Often times we focus only on making money through social media, but this leaves so much less on the table. In fact, when we only consider making money through social media, we forget about all other aspects of a sales process, specifically lead nurturing and education. 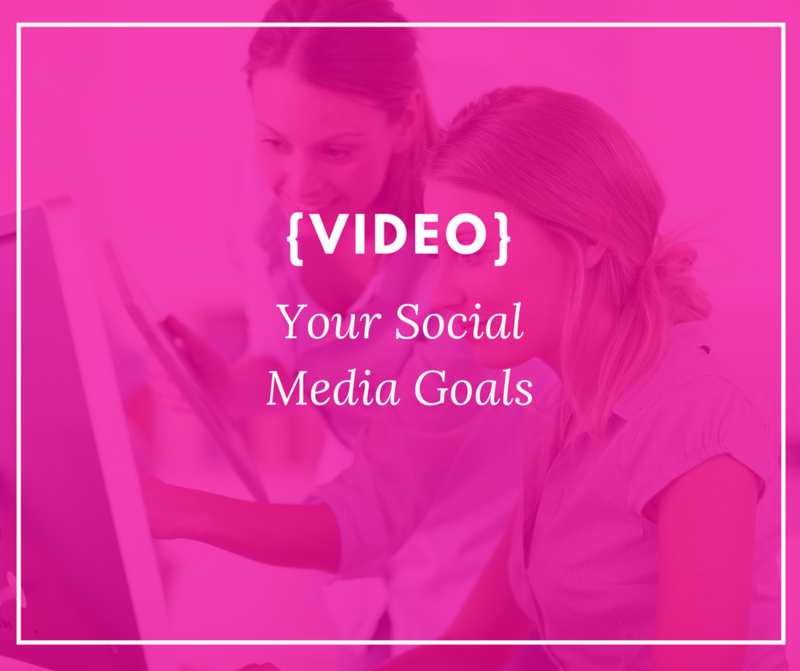 This video covers some of the common social media goals that you can choose for your focus and how to turn them into SMART goals. I also go into which tracking tools you can use for measuring your results and, my most important piece of advice with social media… to have fun! The PDF from the video is available for download here. In the last decade, social media became the most influential marketing tool. Every business, big and small, has incorporated social media into their marketing campaign. Social media can benefit your business in a number of ways. Unfortunately, we’ve seen a lot of business owners fail despite their hard work. Myths about why and how to use social media persist. Believing these myths will only cripple your marketing campaign. Here are some of the most common social media myths that hold business owners back. It’s time to bust these myths. Some people think that social media is just for millennials and the younger generation. That’s not really an accurate picture of social media users today. In fact, studies suggest that a huge majority of the U.S. adult population is on Facebook. 52% of adults aged 55-64 has a social media account. Almost everybody is on social media. Having a business account will help you reach your target audience. If you don’t already have one for your business, then you’re losing a lot of great opportunities. We all know that social media makes it easier for businesses to connect with their audience. But that doesn’t mean that you should set up and maintain an account in every platform. If you do, you’ll only be wasting your time. In order to yield great results, you need to know which platform your audience frequently use and then focus your marketing efforts there. Maintaining a presence across different platforms can help your business, but if it isn’t helping you out, just cut it loose. Most people think that more is always better. Sure, having millions of followers is great. It means that people are familiar with your brand. But more than the number of followers, what’s more important is the type of followers you have. Let’s say you have 100,000 followers. Sure, that’s a great thing. But it won’t benefit your business if majority of these people are not reading or responding to your posts. What you need to focus on is interaction. It doesn’t matter if you only have 1,500 followers, just as long as these people are actually interested in what you’re selling. Having lots of likes is only valuable if you have the right people following you.